With mobile payments steadily on the popularity uptick, apps that specialize in direct money transfers between friends are fighting to be the one you turn to first. 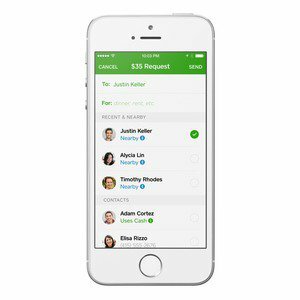 Square Cash finds people within 250 feet of you and lets you send them money from its main screen just by tapping on the profile name. Square is keeping its competitive edge—the company rolled out an update to its app Cash on Tuesday, introducing a new feature that connects Cash users via Bluetooth. Dubbed “Nearby Payments,” the app finds other users nearby, allowing you to send or request payments more easily than before. In order to use this feature, you have to have Bluetooth turned on and toggle on the proper settings within Cash—just turn on the Show Nearby toggle and indicate whether you’d like to use this feature with everyone or just people from your contacts list. It uses Bluetooth Low Energy, so it shouldn’t cause any major concerns for battery life. You'll see a full list of people in range before you complete a transaction. Once you’ve turned these settings on, anyone in Bluetooth range will show up on Cash’s main screen—tap on a name to initiate a transaction. As long as users are within 250 feet of each other, Cash’s Nearby Payments feature will kick in. Besides Nearby Payments, Cash now has interactive notifications, so you can swipe on a push notification to accept or reject an incoming payment request. The idea here is that Cash is making it easier to send money instantly to people directly around you—you could be divvying up the dinner check with friends, requesting rent money from your roommate, or paying your coworker back for that shared cab ride. It’s not that making payments was difficult before, because Cash has always been simple, providing a free payment platform that only requires a debit card and an email address to create an account. These new features just take away a couple of extra taps, and allow you to send or request money to people who you might not have in your contacts list yet. 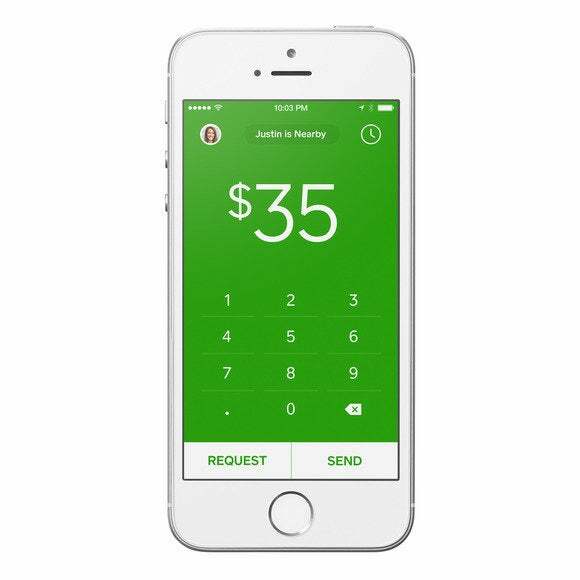 Square Cash version 2.1 is available now for iOS devices running iOS 8. Are there any friend-to-friend mobile payment features that you’d like to see in future versions of Cash—or even in other apps like Venmo or PayPal? Let us know in the comments.